We have achieved several milestones this year. For the very first time in its history, WOMEX ventured beyond continental Europe to travel to the Atlantic, and the closest ever to the shores of Africa and into the archipelago of the Canary Islands. 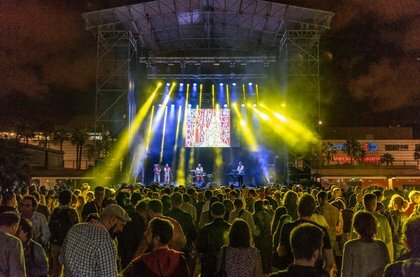 Thanks to the all-year-round warm weather at the Canaries, this edition, for the first time, hosted an outdoor, open-air showcase stage, bringing the summer festival atmosphere, and making it one of the most stunning, and unforgettable WOMEX locations so far. 2,700 professionals (including 300 performing artists) from 92 countries representing 1,450 companies. 580 labels, publishers and distributors. 420 governmental, educational and other institutions. 830 individual booking agents, 730 managers and 400 producers. 300 national and international journalists. A bustling Trade Fair with more than 750 exhibiting companies from 54 countries at more than 280 stands. 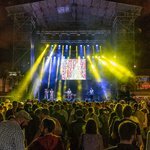 More than 60 showcase acts with 300 musicians from over 50 countries on 7 stages. The seventh WOMEX Club Summit. 100 speakers and mentors from 30 countries in 23 conference sessions; 19 network meetings and offWOMEX presentations and 11 expert Mentorings. 16 Films in total subdivided into market and public screenings, 1 tribute, 15 new releases including 3 Spanish premieres. The Opening concert Tránsitos Atlánticos. Three WOMEX Awards honouring Kronos Quartet from the USA; ShoShona Kish from Canada; and label of the year, Glitterbeat Records, based in Germany. WOMEX Academy, a new Initiative by Piranha Arts Consultancy with 14 fellows from West Africa and 8 in partnership with the Sibelius Academy, Helsinki. The WOMEX Radio Studio, a cooperation of EBU (European Broadcasting Union), RBB (Germany), WDR (Germany), and NRK (Norway), plus EBU Radio Sessions by NRK, BBC, and KEXP Seattle.